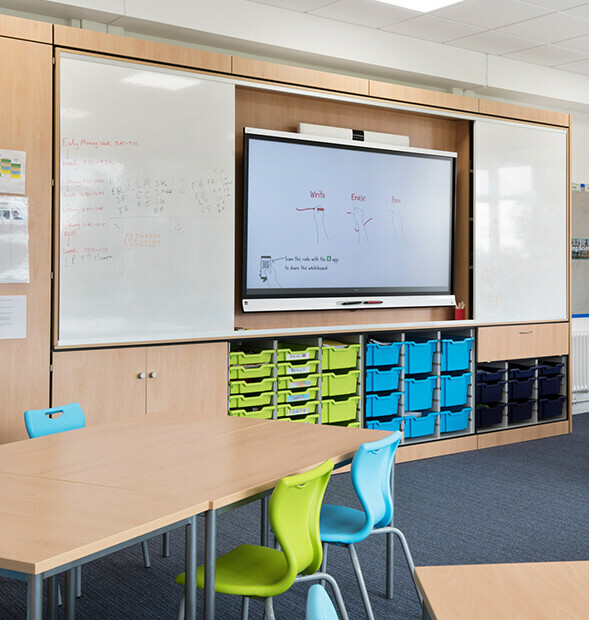 Yattendon School in West Sussex, appointed Pinnacle Furniture to transform 9 of their dated classrooms into bright and inspiring learning spaces. 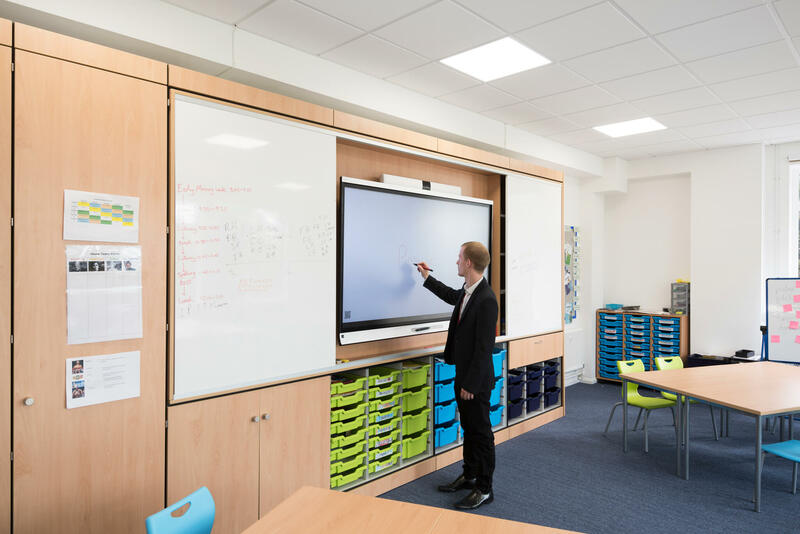 The classrooms also needed to allow the teachers to facilitate 21st century teaching methods. 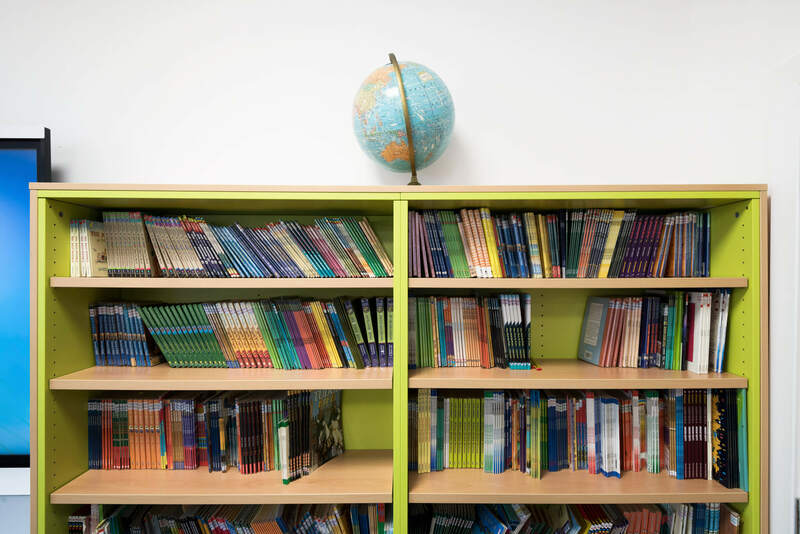 Yattendon School located in West Sussex, provides education for children aged 7-11. Due to the successful sale of some of their land, the client had the funds to make substantial changes to the school. 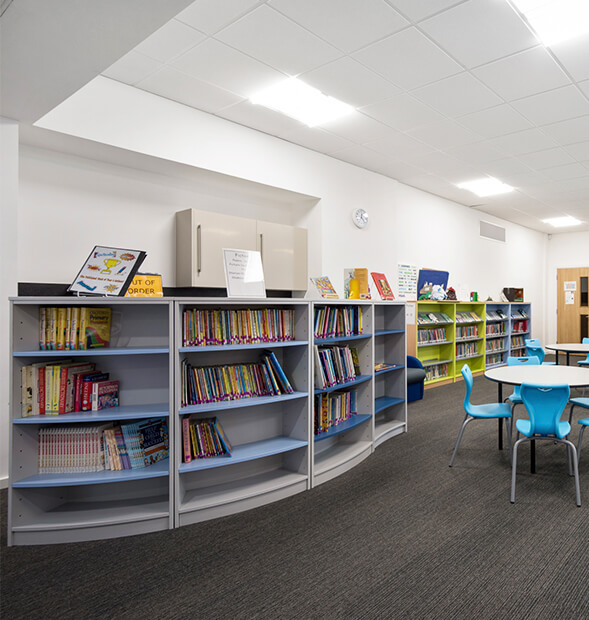 The first phase was an extension to create a new entrance, administrative spaces and a ‘knowledge area’ consisting of a library, ICT and learning zones. The second phase was refurbishing existing classroom to transform them into more exciting places to study as well as adding more functionality for the teachers. 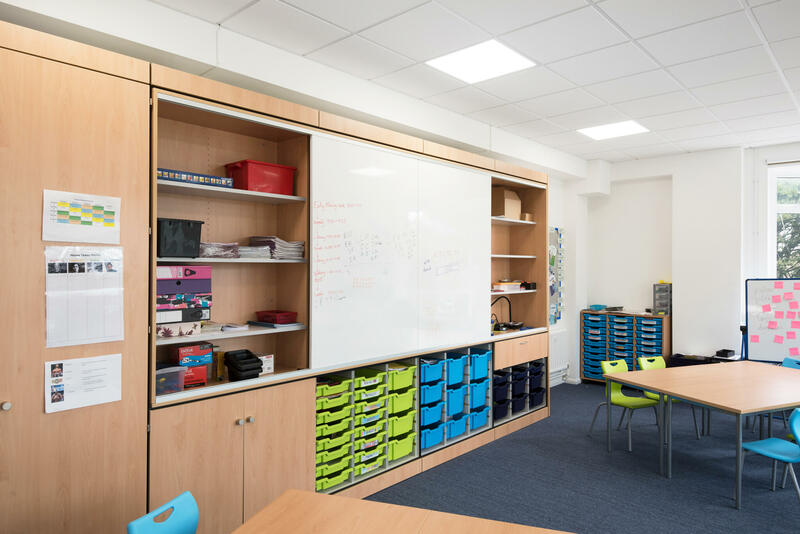 Pinnacle Furniture were appointed to refurbish 9 classrooms, each with a wet area consisting of a sink and a tap. Being a school, our Design Team wanted to make sure that the classrooms had enough storage to house all of their equipment. We created classrooms where there were multiple areas to study depending on the task in hand. 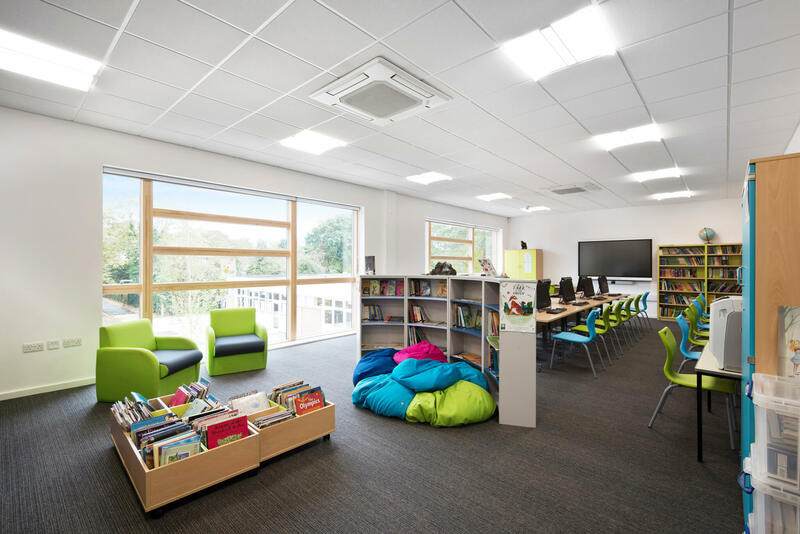 For instance, the library had a formal teaching area and then a separate area of soft seating and bean bags for reading or private learning. 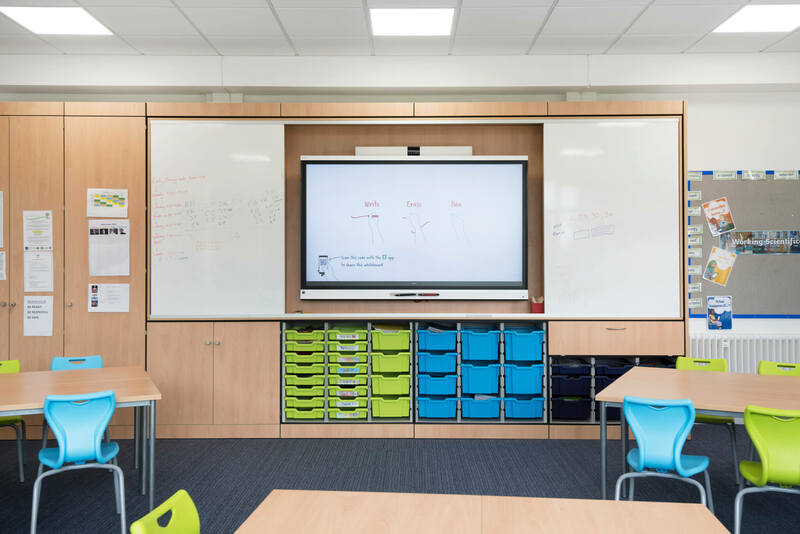 Pinnacle began by removing the existing floor to ceiling storage and replaced them with our TeacherWalls, which included various elements such as sliding whiteboard doors with an integrated smartboard behind it, along with trays, shelves, drawers and cupboards. 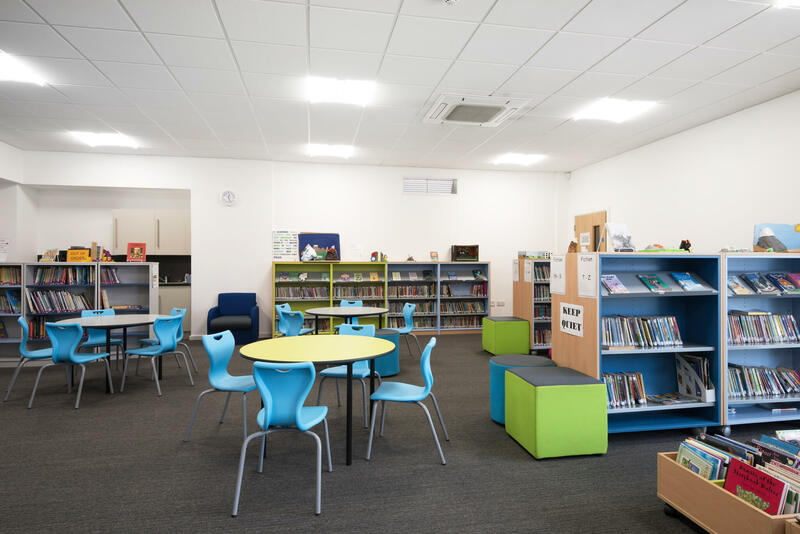 We supplied rectangular and circular FlexiTables with EN classic chairs in bright colours to stimulate the children. The tables and chairs were placed strategically to create different learning zones. We installed capacity units for the wet area with a sink and tap as well as a coat and bag storage system. 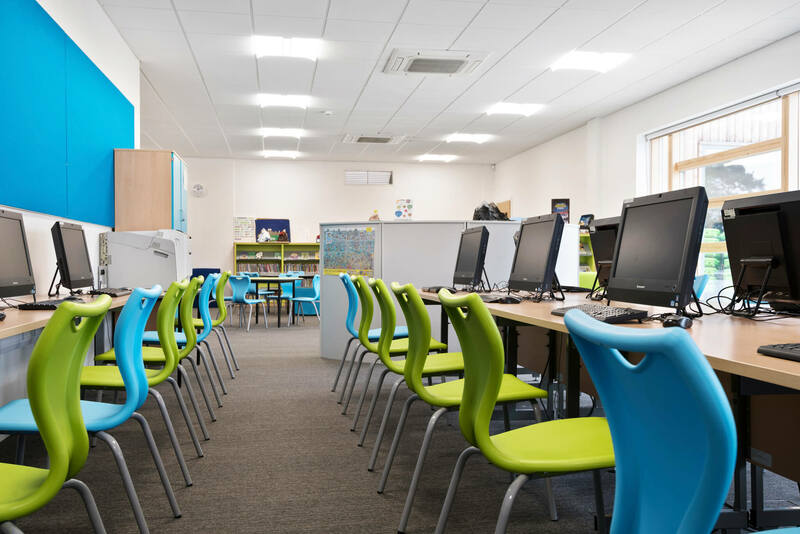 A Merlin operator chair was provided for the teachers due to its comfort and ergonomic features. 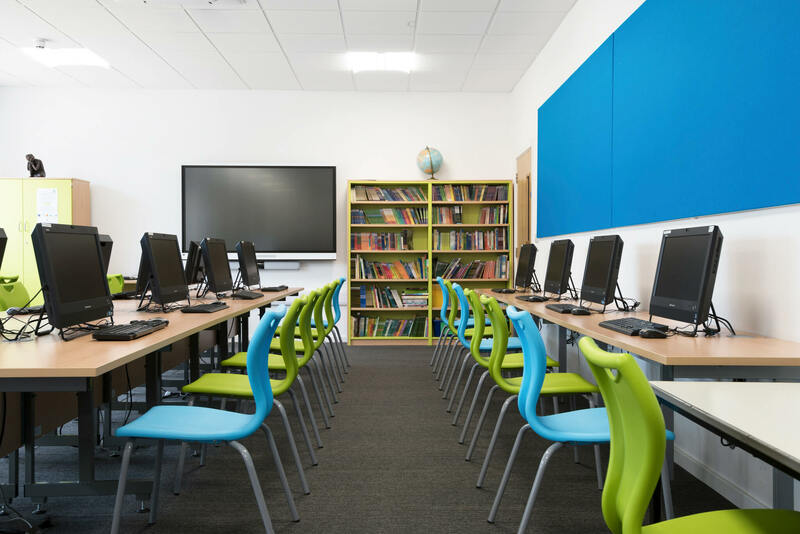 We supplied Quattro curved and straight library units in a combination of bold colours that work in harmony with the colours of the EN classic chairs. 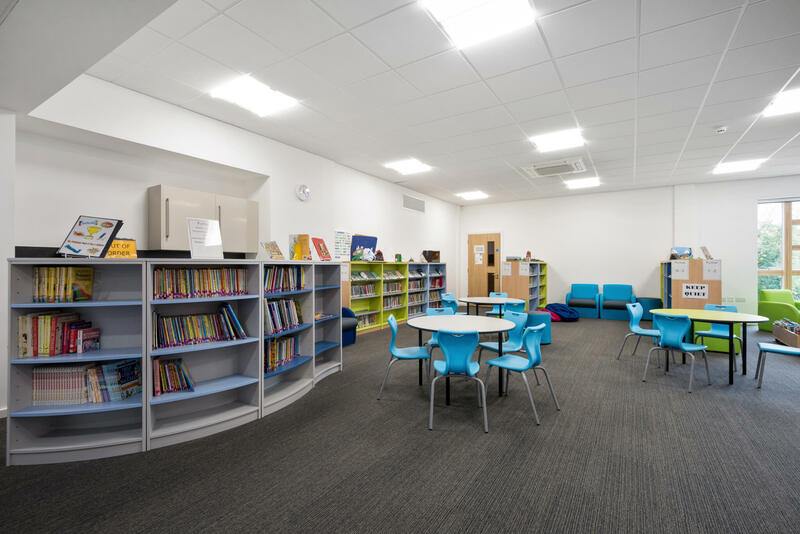 To create a quiet reading zone, we added some soft seating in the form of a selection of beanbags, Sketch cubes and cylinders and Aspect modular armchairs.